G. Grigg and Sons family run business is based in Musselburgh and over our 40 years of trading we have carried out an extensive portfolio of various types of building and roofing works. 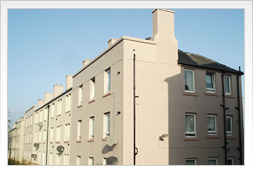 We have concentrated throughout the years predominately within Edinburgh and the Lothian’s and our clients have included East Lothian Council, Midlothian Council and the City of Edinburgh Council, Edinburgh University, Historic Scotland, World Heritage Trust, Fife Enterprise, Architectural and Quantity Surveying practises along with thousands of private clients. 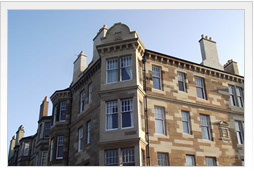 A substantial amount of our works over this period has been the renovation and restoration of multi ownership tenement properties utilising our extensive knowledge and understanding of traditional trades and workmanship along with the appropriate materials and specifications. All our works are highly supervised by our experienced staff and all aspects of Health and Safety and coordination of our various contracts are rigorously enforced to ensure all works are of a high standard and our client’s needs are met. We currently employ around 50 members of staff all of which are fully trained and experienced in the traditional trades carried out. Our staff are Construction Skills Certificated in their allocated trades and continually provide work to the highest standard to ensure our client’s satisfaction at the works carried out.